Widowed and with retirement drawing near, Everett Hart believes he has already lost everything – until the dead begin to rise. 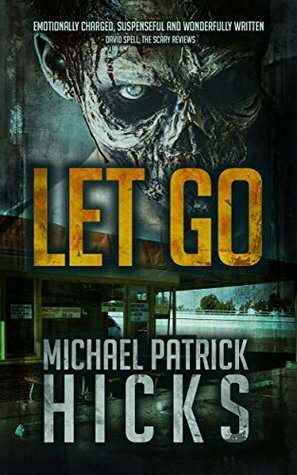 Trapped in a cheap restaurant with a small band of other elderly survivors, Everett is forced to decide if he’ll fight for whatever scraps of a future remain, or if he will simply… let go. Yes, this is a obviously a zombie story – isn’t the cover self-explanatory? But Everett will reach out and grab your heart from the first page. This short story is less about zombies and more about a man coming to terms with certain aspects of his life and I have to admit – I wasn’t expecting such an emotional read. Powerful imagery with outstanding characterization.